Where are Hedge Funds Investing Their Capital in the Trump Era? The day before President Trump was sworn into the Oval Office, I highlighted the potential impacts his presidency may have on small and medium businesses (SMBs). 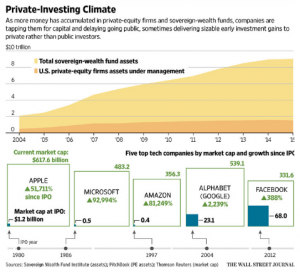 We have seen deregulation and investment in the private market undermine early guesses of what the ‘new normal‘ is. Instead, active investors who correctly interpret the impact of the Trump administration’s tax cuts and deregulation are seeing outsized returns in private companies. While this is no easy task, it’s proving to be ever more difficult to get significant returns in public markets. As Donald Trump takes center stage tomorrow, the uncertainty around the impact his presidency will have is widespread. Here are a few potential impacts of the Trump presidency on small and medium businesses (SMBs) in the first 100 days. “The number of U.S. public companies has fallen by one-third since 1997, yet the total market capitalization of the U.S. public market is near its historical peak. A mix of factors has influenced this shift including The Fed’s monetary policies and a slowed economic climate. Lacking other attractive options, money still pours into public equity markets if only because that is the one place to earn a return. After 3 ½ years of sitting in rulemaking purgatory, the SEC is finally voting on the rules for Title III crowdfunding (or retail crowdfunding, investment crowdfunding, equity crowdfunding… it has several names at this point). That’s… great news for the bourgeoning industry that’s been waiting on these rules for so long, but we still have no idea exactly how this whole thing is going to pan out. 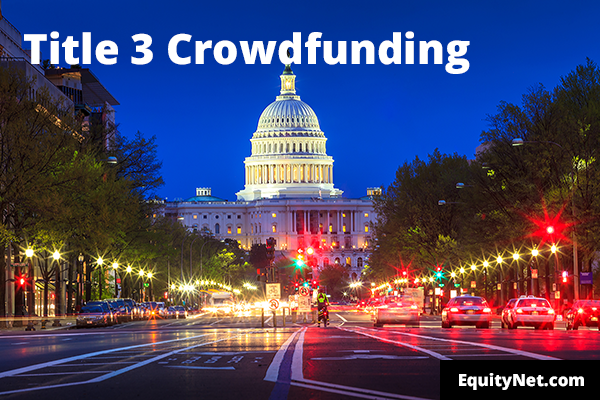 Flop Or Not – What Will Title III Crowdfunding Look Like In The US? Three years after Obama signed the JOBS Act and the regulation so many people consider to be “the game changer” – the one that will “democratize capitalism” by letting the average Joe invest in private companies – has yet to see the light of day. Title III of the JOBS Act – colloquially known as crowdfunding – came to the floor with 585 pages of proposed rules in October 2013 leaving most insiders demanding a score of revisions. So far, nothing’s happened and no one outside the Commission knows what the regulation will look like. Today, FINRA proposed a rule change that could have the greatest impact on private markets in over 80 years. Known as the Funding Portal Rules, they would allow crowdfunding portals to take an active role in the sub $1 million non-accredited investor market currently untapped. These rules – when launched – would work in tandem with the as-of-yet enacted Title III JOBS Act rules to allow unaccredited investors to invest freely in private companies. The proposed changes can be read in their entirety here.